The Symposium took the form of four panels with specific professional and disciplinary groups: policy-makers, stakeholders, social scientists and law professors with an open session to enable wider audience participation. Each panel speaker was asked to give a short opening statement, setting out what constitutes evidence from their disciplinary perspective, using the UK Intellectual Property Office’s guidance document on standards of evidence (‘clear, verifiable and able to be peer-reviewed’) as a starting point for their contribution. 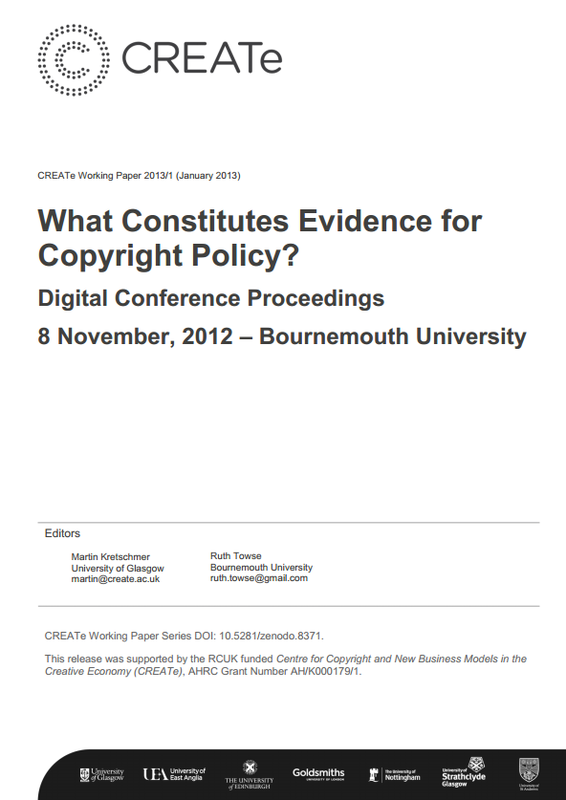 Download What Constitutes Evidence for Copyright Policy? Digital Proceedings of ESRC Symposium.